SALLY is an active advocate of the UN Convention on the Rights of the Child, which sets out children’s rights. SALLY aims to inspire and challenge children to form their own opinion and express it in a respectful manner. SALLY also wishes to literally get children ‘moving’. The instrument it uses to realize this goal is modern dance: watching dance, talking about dance, and especially dancing. The experiences acquired by the youngsters participating in an educational project organized by SALLY will probably ignite a passion and love for (the art of) dance in some of them. This is a great, and in fact a noble goal, but SALLY aims to go one step further. 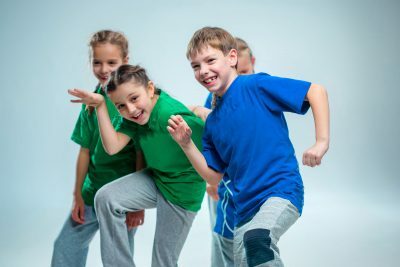 It aims to teach children and young people, via dance (actively and receptively), the skills that the UN Convention on the Rights of the Child considers necessary for them to feel solidly grounded in the present world, to make well considered choices openly and objectively. This includes the ability to see things and think about them critically and honestly, to acquire self-confidence in expressing themselves, and to develop respect for others and that which sets others apart. At the same time, SALLY also hopes to create ambassadors for the arts via its dance projects, ambassadors who will share their (dance) experiences with others at home and with their friends. How much fun it is to learn a new language via dance? !